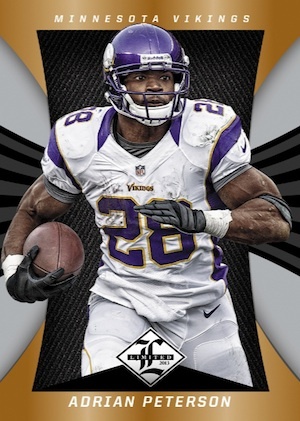 Back for another season, 2013 Panini Limited Football again brings collectors a one-pack format. Each box will yield three hits, including one guaranteed autograph. The remaining two hits are either autograph or memorabilia cards. Phenoms, which showcase the rookie players, come with an updated design. Material Phenoms take this a step further with a jumbo memorabilia piece and a signature. 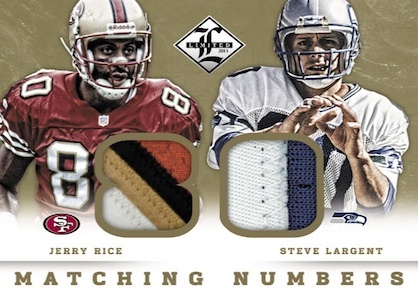 Rookies are also the main focus in Rookie Letterman, which include signed nameplate patch cards. Jumbo Jersey Numbers Prime Signatures feature veteran and retired players and include autographs and jersey number die-cuts. 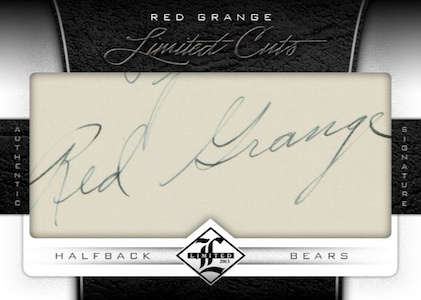 Limited Cuts round out the autograph options with cut signatures from 20 former greats, including Red Grange, Pete Rozelle, and Sammy Baugh. 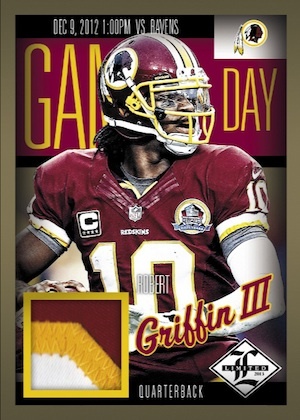 Among several memorabilia options, Game Day Materials now include the actual date of the game jersey showcased in the card. Matching Numbers combines jersey pieces for two players who share the same jersey number. Limited Threads add more memorabilia options and also include the Brand Logos parallel, which is a one-of-one card. 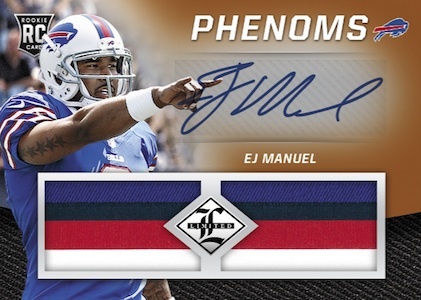 Field Vision, a new chase insert, is included in 2013 Limited Football. This clear plastic insert set highlights players who wear visors and fall two per case. 2013 Limited Phenoms Vance McDonald Rookie Patch Autograph 299! That is a rather large checklist for there only to be 7 cards per box.. The card’s designs were wonderful yet the selection of the legends was poor- steve McNair is not a”legend” in my opinion (got him in the pack) maybe I was unlucky but i just threw $100 bucks in the toilet.